That is a question I was asked to answer recently. Traci Fenton called this “The Power Question” in her opening speech at WorldBlu LIVE. It’s powerful to ponder…What would you do if you weren’t afraid? 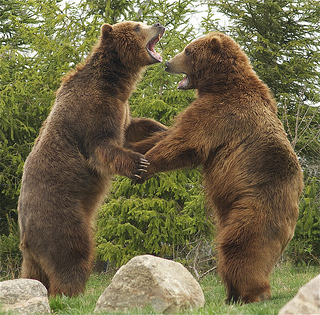 Even though I really like this photo, I’m not actually talking about running-from-a-grizzly-bear fear. That is different. This is the low grade state of fear that you might work in everyday if you work for a typical employer with a command and control structure. Fear wears many masks. Blame, hierarchy, power struggles, control, secrecy, cynicism, greed and manipulation are a few of them. Living in this state of low grade fear limits creativity and the majority of our brain shuts down (some studies show that we only use 20% of our mental capacity when in this low grade fear state.) From this environment, we don’t realize our true potential as individuals or organizations. 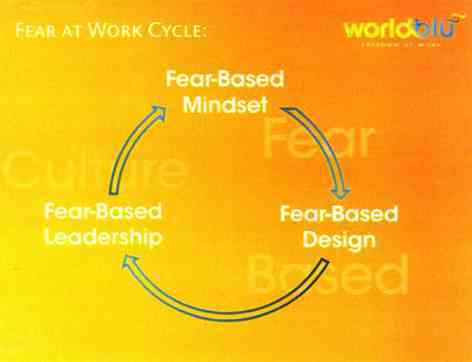 A fear-based mentality leads to fear-based design, fear-based leadership, and a fear-based culture. The alternative is a freedom-centered mindset where systems give power to the people and release potential. In a freedom-centered culture, answers can be found beyond the CEO or the C-suite. Decisions are made with input from the people with the most knowledge about an area. This model expects and demands the best from people. If you are in the U.S., you may be enjoying a holiday today that celebrates freedom. I’d encourage you to take this time away from work to step back and look at your work life. Are you unfulfilled and unhappy? If so, what are you going to do about it? Leadership comes from all levels of the organization. 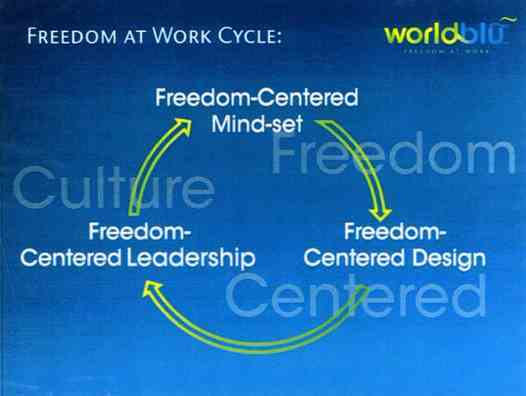 You can often work to create a freedom- at-work culture where you are within a business or institution. Sometimes this can spread throughout the company. However, some cultures are just too set in the fear-mindset. If you can’t “labor in freedom” where you are, another option is to create your own organization where you can create a freedom-centered business for yourself and your future employees. 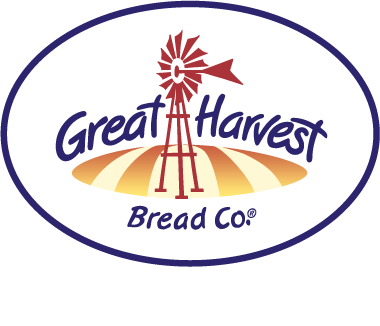 And the benefits to the bakery owners who succeed in creating freedom-centered bakeries include lower employee turnover, higher innovation, increased efficiency, and better customer service. Have you been thinking about making the leap to small business ownership, but struggling with that first step? 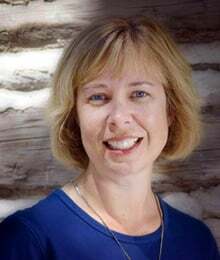 The Power Question can help bridge the gap between a fear-centered place and a freedom-centered situation. Think of a challenge you are facing. List all the things you are afraid of surrounding this challenge. Ask yourself: What would I do if I weren’t afraid?